There are countless unacceptable behaviors within the society we live in. Most of these keep us being more civilized, having our animalistic tendencies in check. These barbaric behaviors include spitting, littering, yelling or otherwise acting uncivilized in public. Then, there is flatulence, what is most commonly referred to as farting. The majority of society views farting as gross. Pretty much everyone that has ever farted in the company of others will say its one of the most embarrassing moments of their life. And we are not going to say it isn’t gross, I mean it’s farting. But maybe we should raise our bar for tolerating this shameful act. Despite the fact that it’s natural, aside from the undesirable smell, many doctors say it has some pretty astounding benefits. Farting is a vital part of digestion, specifically when the gut needs to break down foods and eliminate certain by products of these foods or beverages we have consumed. It’s as natural as urinating in terms of washing away excess chemicals and toxins out of the system. To put it simply holding any type of natural bodily reaction is not good for health, whether it’s urine, bowel movement, or gas. But, passing gas is a completely natural bodily function. Furthermore, it is absolutely necessary for a number of health reasons. 1. It’s good for the colon and the digestive system. Farting is good for the digestive system because it releases byproducts of the gastrointestinal system. It also messages us that the system is not blocked and constipated. Those with digestive issues should have in mind that holding in the body’s attempt to release byproducts of the gastrointestinal system is potentially dangerous. 2. It helps with bloating. Feeling bloated is genuinely uncomfortable. This symptom is often experienced shortly after eating a meal, particularly a large one. It can lead to some uncomfortable stomach aches and pains. This is where farting immediately helps us feel relieved of these uncomfortable feelings. It removes any excess gas that adds up to feeling bloated. 3. The smell is actually healthy. Yeah, it’s weird but it is correct none the less. When we pass gas, we release a small amount of a substance called hydrogen sulfide, which may be beneficial in thwarting off future illnesses. Studies suggest that the element may also prevent cell damage, and even prevent heart attack or stroke. No wonder we secretly like to smell our farts. 4. It means healthy gut microbiome. According to Purna Kashyap, a doctor of gastroenterology at the Mayo Clinic in Rochester, Minnesota, “Eating foods that cause gas is the only way for the microbes in the gut to get nutrients. If we didn’t feed them carbohydrates, it would be harder for them to live in our gut.” Dr. Kashyap prefers foods rich in fiber, like beans, lentils, broccoli, cabbage, and kale. 5. It’s an instant relief. This one is kind of obvious but it’s worth mentioning. 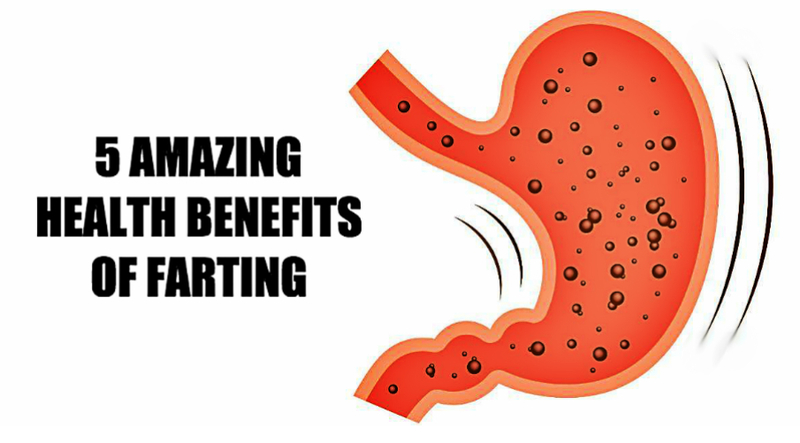 This adds up to the previous benefit of farting where it helps with bloating. But not just bloating, it helps with releasing gas buildup, improve bowl movement and prevent stomach pains. All of these benefits are thanks to the not so socially acceptable act of farting. So maybe the smell is worth it. Sometimes.